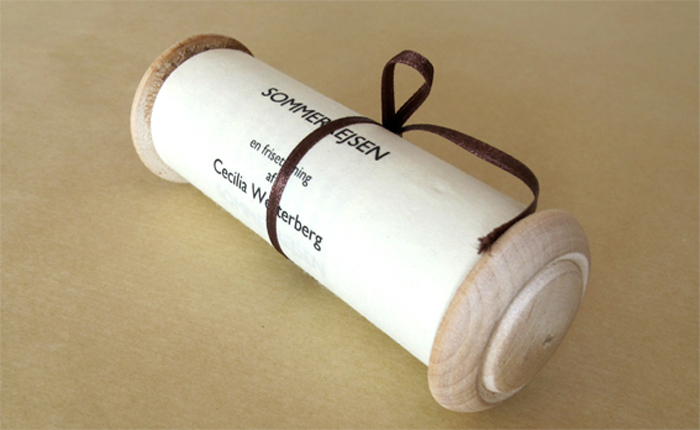 A scroll book. Archival print on Japanese paper on a wooden stock. 3,5 x 11,4 x 4,3 cm. In total 170 cm long. 2012.